'Homegrown' is a regular recipe post using Irish products from incredible Irish producers. In this category you'll find recipes made with Irish ingredients, loved by the whole family, from producers who hold the same food values for quality, taste and standards as we do. It's Hallowe'en today! No more sleeps!! 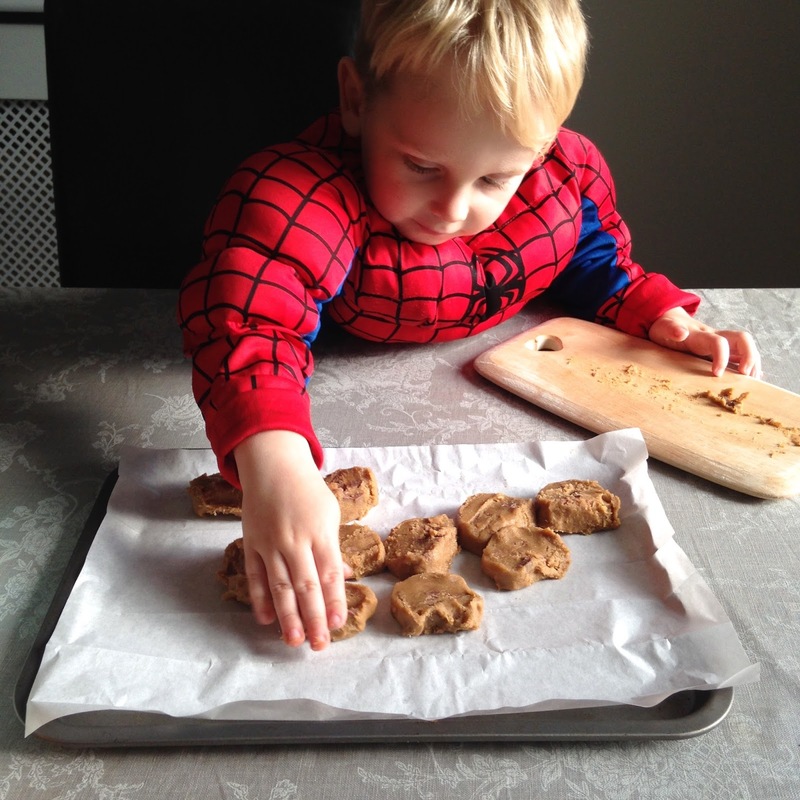 Spider-Man and Fireman Sam - who moved in with us this past week - are absolutely ecstatic! 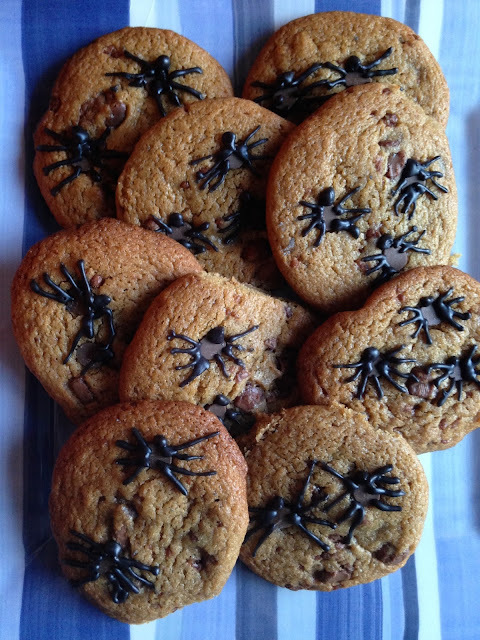 To gear us up and get us all ready for a spooktacular day we decided to bake some cookies. 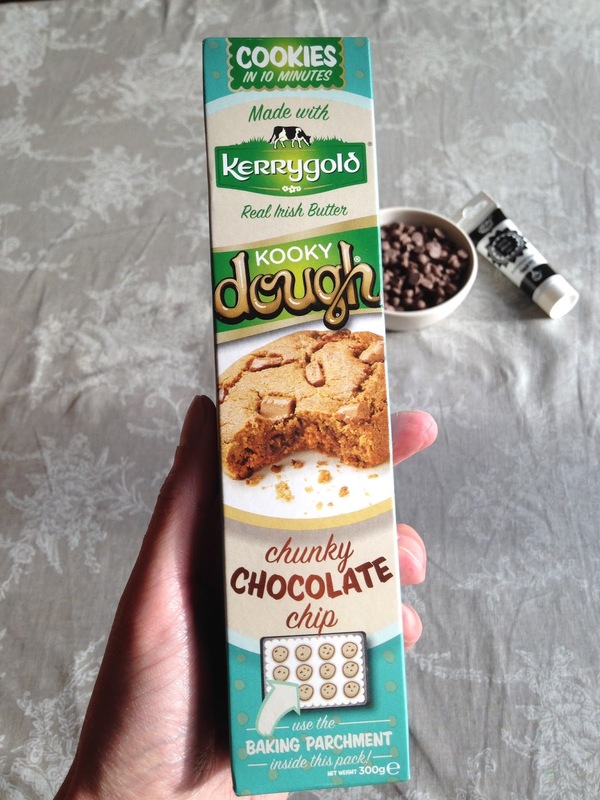 We love Kooky Dough. It's so easy, tastes amazing, and by using the pre-made dough it leaves lots more time to be creative with decorating! Take out the handy piece of parchment paper, and the Kooky Dough from the box. 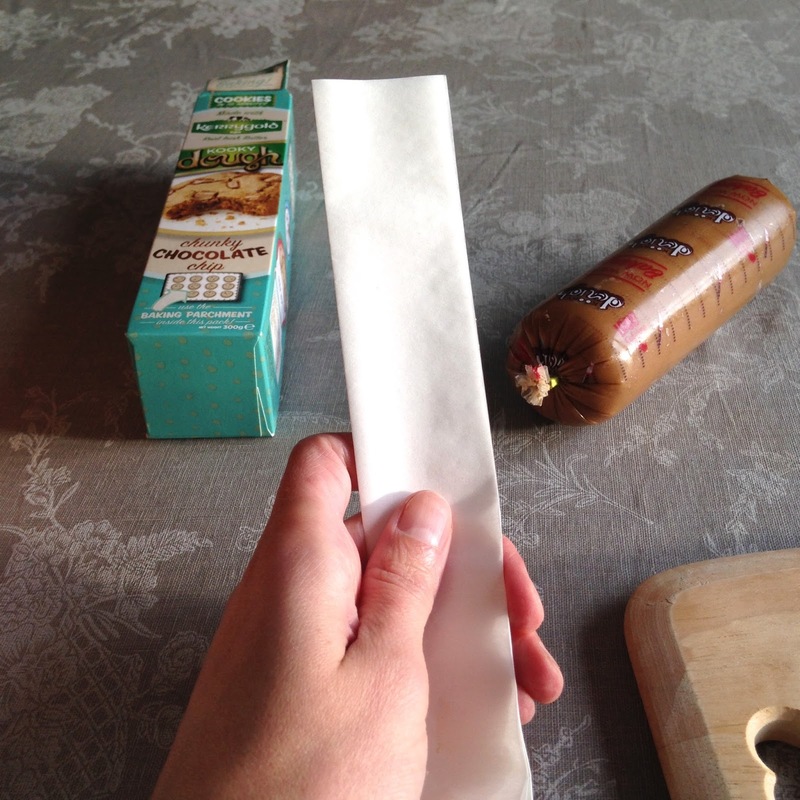 Remove the plastic from the dough and slice it up. Each pack will make about 10-12 cookies. Place the parchment on a baking tray, and pop on the dough. Evenly spaced as they'll spread a bit in the oven. 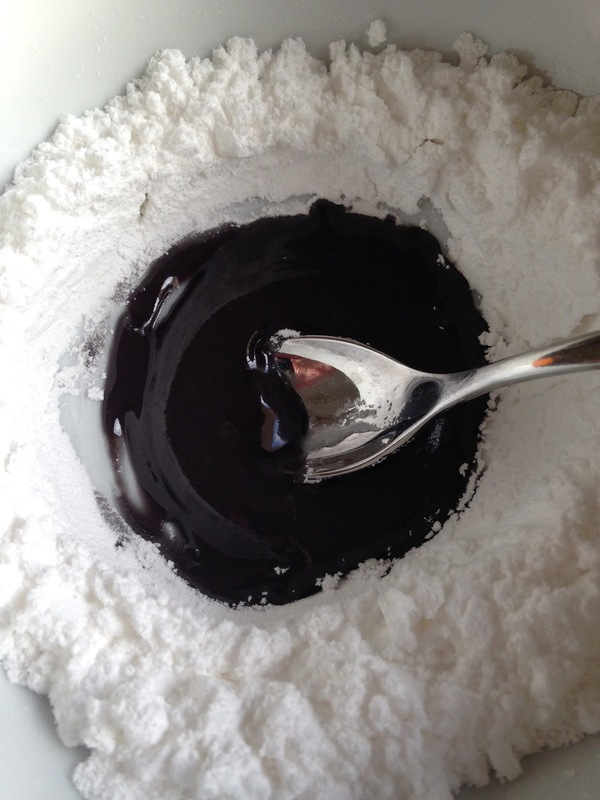 This dough is so easy to work with (and forgiving!). No matter what size or shape each piece happens to be when it goes on the baking tray it will generally come out of the oven cookie shaped. If you want the cookies the same size (but the kitchen helper has gone for a more organic look!) just pull a little bit from a bigger one and squeeze it onto another. 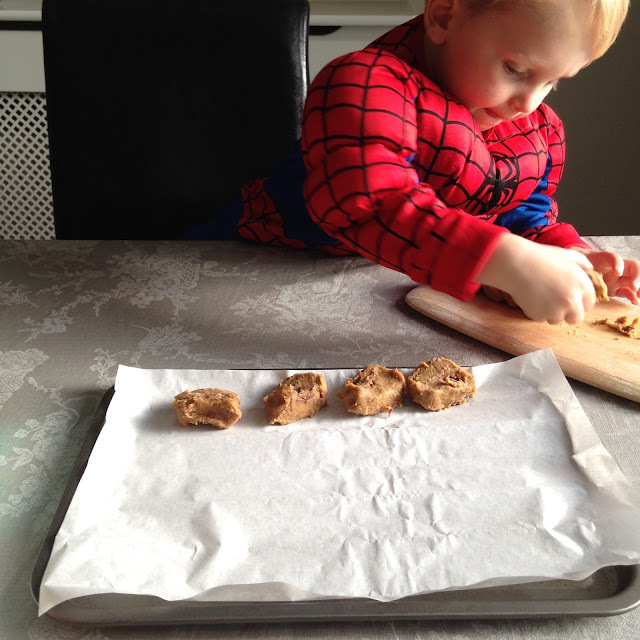 Or make them all different sizes - there are no rules with Kooky Dough! Pop into the middle of the oven for 8-10 minutes. 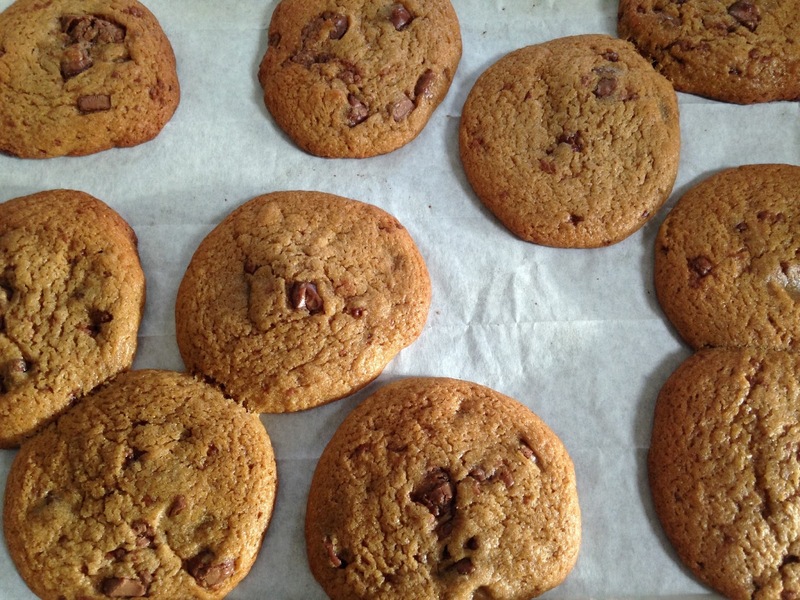 Once they're baked they have the most wonderful consistency, crisp on the outside yet soft and crumbly in the centre. They'll make your kitchen smell amazing too! 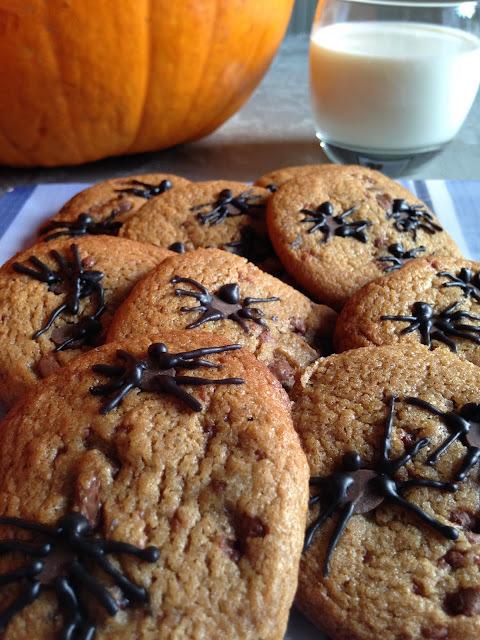 The fact that you can eat them warm because you've made them yourself is just the icing on the cake (or the Kooky!). Allow to cool for about 10 minutes. The perfect amount of time to grab your chocolate chips and make the icing. Mix together the icing sugar and water until you get the desired consistency, then add the food colouring. 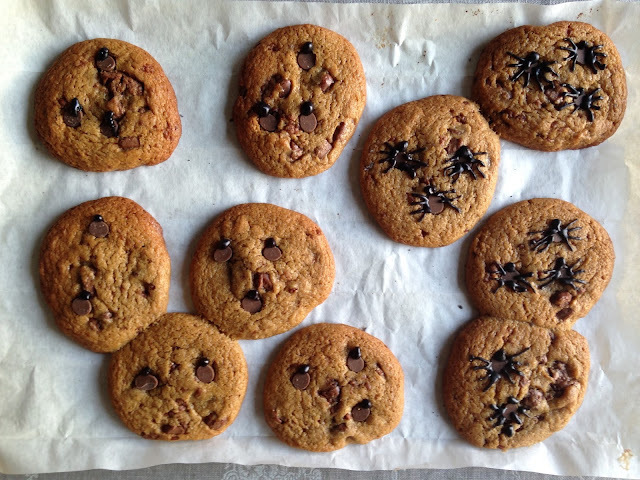 While the cookies are still warm and slightly soft press 2-3 chocolate chips into each one. Next, cut a small hole in the corner of a plastic food bag and fill it with black icing. If you have a proper icing bag with a fine nib even better. 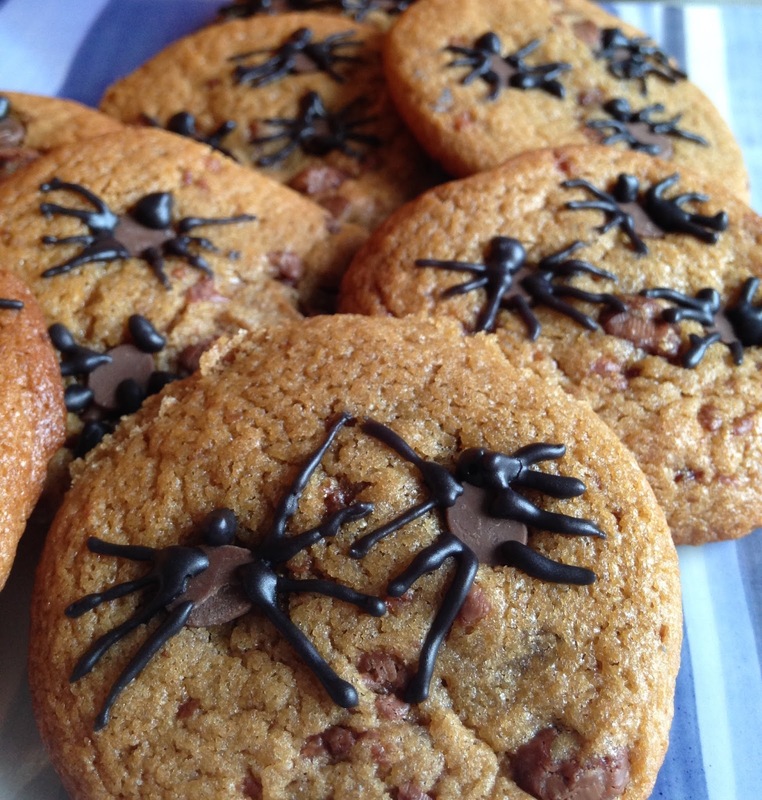 With the icing bag, pipe spider heads at the top of each chocolate chip and eight spider legs. 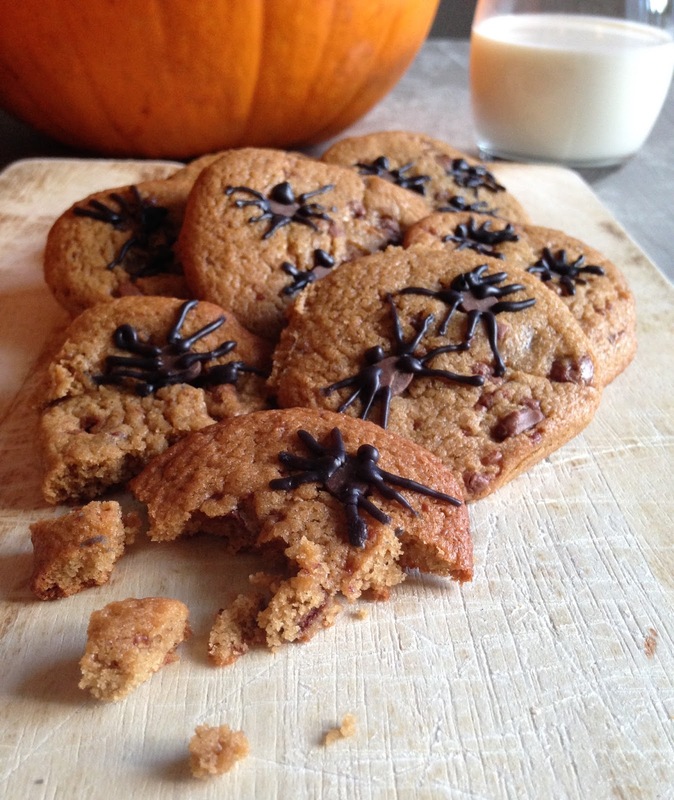 They don't have to be perfect - I happen to think they're even scarier when they're not! That's it! The easiest way to bake a creepy Hallowe'en treat. Once cooked they keep for about a week in an airtight container, but if you're anything like us you'll have the first batch scoffed in less than 10 minutes.